At Arkwright Insurance, we offer a wide range of insurance products to cover motorcycles of different models, varieties and driver circumstances. We take all the relevant information into account to offer a unique quote that matches your particular requirements. With many satisfied customers up and down the UK, Arkwright is proud to provide dependable and competitive insurance to bike owners. Do I need to insure my bike? All motor vehicles running on the road are required by law to be covered by appropriate insurance. Bikers and their situations will vary greatly, so it's important to secure the right policy to cover them and their road usage. From hobbyists to daily commuters, young enthusiasts to older veterans, Arkwright is able to help find the best deal for the right price. Before you look at getting a quote for motorbike insurance, it will help to have the relevant information ready and available. This includes information about the make, model and engine size of your bike, the year it was made, its value when you bought it and any modifications that have been made to it. On top of that, you'll also need to state how long you've held your licence, and whether any additional riders will use the bike. It will also be necessary to provide details of any previous claims or convictions either you or your additional riders have had. What kind of insurance is available for motorbikes? Similarly with insuring other vehicles, there are three levels of cover to choose between for your bike insurance. Third Party Only, which is the minimum requirement and cover you for any damage you cause to others. Third Party Fire & Theft, which provides the same cover as above but also covers you if your bike is stolen or damaged by fire. Comprehensive, which covers all of the above as well as damage and injury to you or your property if you're in an accident. If you're looking for a policy that will cover you for virtually everything, choosing Comprehensive cover is best advised. However, this will generally come at a higher premium compared to a Third Party Only policy. Depending on how you wish to carry passengers, your policy can include pillion cover or sidecar cover. Pillion cover will allow you the option to carry one additional person seated behind you. Alternatively, if your motorbike is fitted with a sidecar, you'll be able to get cover for an additional passenger to go alongside insuring the modified structure. Can I transfer my car's no claims bonus to my bike? 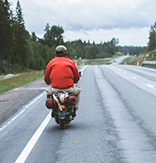 If you're making the switch from car to motorbike as your main vehicle, you may want to carry over the years of no claims bonus you've gathered and apply them to your new policy. This may be possible in some cases, but it's not a guarantee so you'll need to speak to us directly to clarify whether you can get a policy that might allow this. Can you insure a 16-year-old rider for a scooter or moped? 16-year-olds who hold a provisional licence and have completed a Compulsory Basic Training (CBT) course are able to operate on the road, so insurance may be necessary. For more information on scooter or moped insurance for young riders, check out the respective Specialist Insurance pages for these products. Arkwright Insurance deals with a wide-ranging panel of insurers in the UK to find the best possible quote for the right policy that meets your needs. By using our online quote builder, we can provide you with an accurate quote as soon as you've provided us with the necessary details. We're dedicated to offering cheaper and more competitive bike insurance through our team of highly experienced individuals, and we'll aim to beat any quote you may have received elsewhere. For an instant bike insurance quote online, click the "Get a quote" button to use our online application. If you'd rather speak to one of our team directly, give us a call on 01204 392 525 and let us know about your motorbike for a tailor-made quote. 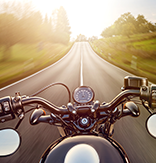 To find out more about insurance for specific models of motorbike including classic or vintage bikes, quad bikes and mopeds, please select one of the Specialist Insurance options below. 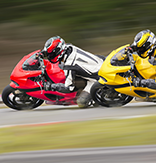 We can insure motorbikes that have been modified to improve performance. If you're struggling to find the correct cover for your particular motorbike in the UK, we can help find the right policy for you. Keep your classic or vintage motor running smoothly and give it the appropriate cover it deserves. Get a specifically tailored quote for your unconventional, off-road vehicles. While often a lot safer than motorcycles, it can be tough finding the right insurance for trikes, which is where we can help. Scooters come with various benefits to traditional motorbikes, and we can find the right cover that meets your needs. Make sure your vehicle is fully covered with a tailored policy to give you complete peace of mind. With higher specs than a typical motorcycle, you'll want a policy that ensures all components of your super bike are covered. Get a tailored insurance policy that meets your specific needs while you're out on the open road. Operating a fleet of bikes for commercial purposes? Cover them all at once under a single policy. 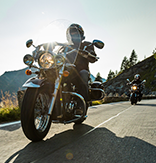 If you own multiple motorcycles, insuring them all in one go helps to keep things easy and simple for you. When you call Arkwright Insurance, a member of our experienced team will ensure that we supply a policy tailored just for you. We go beyond the usual criteria of your age, your bike's condition, location and expected mileage to provide you with appropriate cover to perfectly match every little aspect of your specific circumstances.